The amount of hard work of each and every movie is clearly visible on seeing the output on the screen. A viewer judges the input of the film makers on watching the movie and it is the most important aspect that each and every producer is keen to know in what way the audience reviews the movie. In order to perceive positive reviews from the audience the movie should allow the audience to connect with the story. The ability to transport the audience from their world to the world of the story is the key factor every film maker should focus while working on the script and making. Pre-production is the part of the film making where we have to completely plan the visuals for the shoot. This stage is the very important part of the production that will help to develop and create the set designs, art and properties in order to have a seamless shoot. D’fine art marches on the forefront of the industry in designing and constructing huge sets for movies and Television, for almost two decades. At D’fine art we ensure that the designs are unique and cater to the expectations of the film makers and also provide a visual treat for the audience. At D’fine art we also provide with the pre-visualizing of the movie with 2D/3D animations and story boarding, which will help in pre-planning the visuals. Pre-visualizing also helps in executing the shoot plan without any loss in the budget. 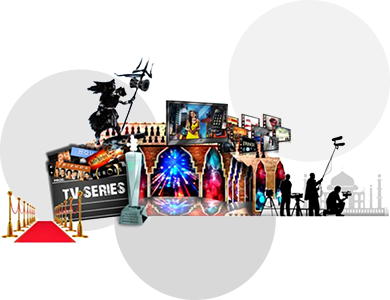 D’fine art has rendered production designing and art direction services for Bollywood blockbusters such as Dilwale, Chennai Express, Singham series, Golmaal series, Bol Bachchan, Heropanti, Blue etc. and television shows, serials, Ad commercials that has kept the audience spellbound. Our uncompromising approach towards creativity and innovation has won us great appreciation, especially for our on time execution and assured construction quality.